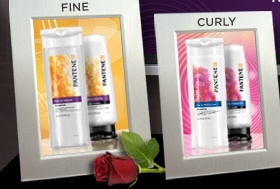 FREE Pantene Sample for Vocalpoint Members! UPDATE: If you are having trouble getting the sample because the site is slow, then (if you haven’t already) you can go here, scroll down and you’ll see the Pantene sample offer link on the right hand side. Click there and you’ll be able to fill out the form to get a FREE Pantene sample! If you’re a member of Vocalpoint, go here and login into your account! After doing so, you’ll be able to request a FREE sample of the new Pantene line – you’ll get to choose between Curly, Fine, Medium Thick, or Colored. **Even if you’re not a member, you can still get this sample. Go here and register, then come back here and go here to login to your account and request this freebie!